“What an experience it was to be in the IAS. Enjoyed every moment. It allowed me to dream and implement those dreams. Got an opportunity to serve the poorest of the poor and derive enormous satisfaction. If I were to be born again, I would love to be an IAS officer, all over again”. He will turn 60 only on July 1, but according to the government rules only those who complete 60 years between the 2nd and the last day of the month, retire on the last day of that particular month whereas the one whose birthday falls on the first day of a month retires a day earlier. 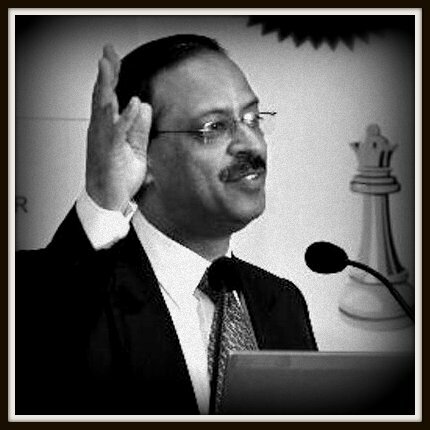 Swarup who belongs to Uttar Pradesh and was allotted the home cadre after getting selected as an IAS, served as the district magistrate and collector of the Kheri district in early 1990s, and later at the Centre as joint secretary and additional secretary in the ministry of labour and employment, additional secretary in the cabinet secretariat and then secretary in the ministry of coal. He did his MA in political science before getting into IAS. Highly vocal in social media, Swarup only recently said how “mafia in school education runs deeper than in coal”. “It was indeed a huge challenge to mine them out and take them on. Met with some success. Battle goes on.” He also took a strong stand in favour of the AGMUT cadre IAS officers protesting against the alleged assault of the Delhi chief secretary in February. Critics, however, cite the recent CBSE question paper leaks as a blot on his otherwise successful administrative career. Meanwhile, the competent authority has approved the assignment of additional charge of the post of secretary of the department of public enterprises (DPE) to Dr Asha Ram Sihag, 1983 batch Himachal Pradesh cadre lAS, presently the secretary of the department of heavy industry. The additional charge is given for the period between June 26 to July 7 when the incumbent secretary Ms Seema Bahuguna — a 1983 batch lAS— is on leave. Also, the appointments committee of the cabinet (ACC) has approved the proposal of the department of commerce for the continuation of entrustment of additional charge of the post of deputy chairman, Tea Board to Shyamal Misra, a 1996 batch Haryana cadre IAS, presently a joint secretary in the department of commerce for a period of three months, with effect from May 11, 2018. Also, A Jayathilak, 1991 batch Kerala cadre lAS and chairman of MPEDA, has been entrusted the additional charge of the post of secretary (JS level), Spices Board, for the period from March 13, 2018 to July 3, 2018 or till such time the regular incumbent joins the post or until further orders, whichever is the earliest.